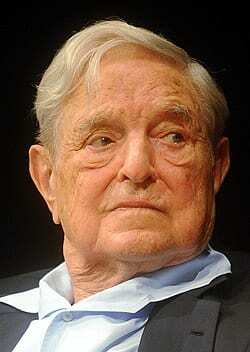 Home DC Who does George Soros want to be Mississippi’s next Governor? 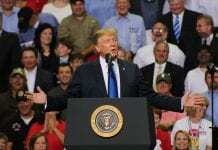 American Bridge PAC, whose largest funder historically is billionaire liberal activist George Soros, has made its first play in the 2019 Mississippi political cycle. The PAC, which also partners with liberal leaning Media Matters, launched an ad today that attacks Republican gubernatorial candidate Tate Reeves on accusations that he influenced the building of a road near his home in Rankin County. Lt. Gov. Tate Reeves wants to put Mississippians’ tax dollars to work on a $2 million road that leads right to his gated community. The case against Reeves was championed by Attorney General and leading Democrat gubernatorial candidate Jim Hood. Hood now faces credible media allegations of creating a taxpayer funded perk as well over his steering of a state Attorney General’s office to his hometown in rural Chickasaw County for his convenience. 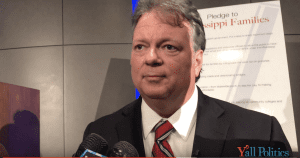 Mississippi media was breathless in 2018 over the accusations made by MDOT Director Melinda McGrath that improper influence was wielded. After two weeks of non-stop media coverage, there has yet to emerge any evidence that anything untoward occurred. The accusations happened in the shadow of political wrangling over MDOT road and bridge funding that happened in the special session last year. It’s unusual for Democrats, especially those outside Mississippi, to be playing in a Republican primary this early in such a red state. But this is a clear play to benefit Jim Hood and try to rough up Reeves. This likely indicates Democrats line of attack against Tate Reeves, for whom they appear most scared to face in a general election. However, a Soros-backed superPAC effort, ostensibly to back Jim Hood runs the real risk of politically backfiring with Mississippi conservatives. American Bridge and Media Matters, according to Wikipedia, work together to employ over 50 “trackers”. It’s not a bridge too far to expect that American Bridge will have trackers on the ground focused on Reeves. Their spend this early likely indicates that Soros is in for the long haul in the Mississippi gubernatorial race.